From the Audrey to the Paris, the Top Down, or the Easy Breezy, there are 50 scarf styles in this book for any occasion or mood. Jaunty illustrations break down each step so stylistas can wrap, loop, and get out the door looking perfectly polished. Women of every age will love creating new accessorizing looks, including; belts, sarongs, and topknots. 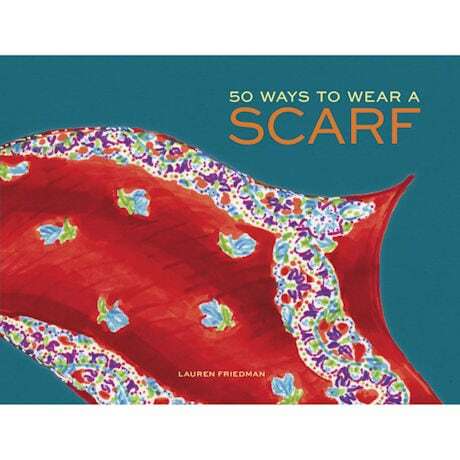 Vibrantly illustrated and packaged as a compact hardcover, 50 Ways to Wear a Scarf begs to be gifted with a scarf and displayed on a dresser, plus it's small enough to take scarf shopping. Très chic! Hardcover; 128 pages.